Objectives: The present study aimed at comparing the physical health and maternal-fetal attachment in the women with planned and unplanned pregnancies. 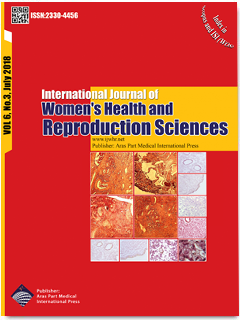 Materials and Methods: This was a descriptive-comparative study including 300 pregnant women (165 planned and 135 unplanned pregnancies) with mean age of 29.8±5.8 (age range of 16-50 years old) who had referred to the prenatal clinic of a hospital from September to October, 2016. The maternal–fetal attachment was analyzed using frequency distribution of attachment scores which did not follow the normal distribution of the subscale totally and specifically. Therefore, to compare the scores of the 2 groups, non-parametric tests were used. To calculate the percentage of physical health of the groups, proprietary test was used. Results: Unplanned pregnancy was assumed as a predictor of physical health because it made women susceptible to health complications (poor health) 5.42 times more than other variables. In 2 groups of the women with planned and unplanned pregnancies, the attachment score was significantly different between the planned and unplanned pregnancy groups. Conclusions: Unplanned pregnancy makes less maternal-fetal attachment and causes insufficient care as well as insufficient nutrition during pregnancy which in turn leads to unhealthy status in mother and child. Hence, to tackle this problem, reproductive health counseling, education, encouragement and problem-solving in various fields including psychological support of mothers in prenatal care and acceptance of parental role are recommended.